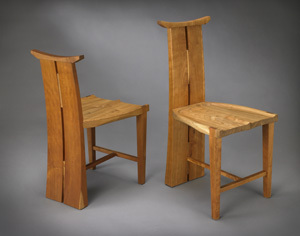 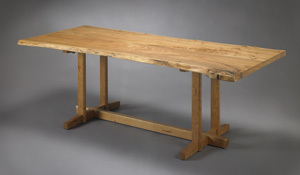 These works have been inspired by the early 20th century arts and crafts movement. 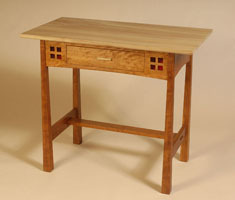 I have updated some of the pieces to reflect a more contemporary aesthetic. 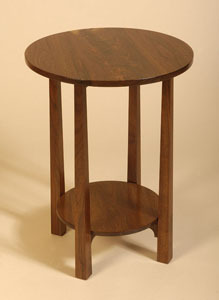 tall back stool . 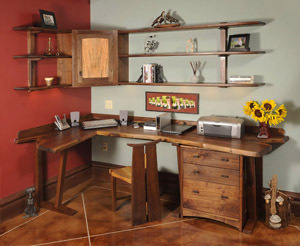 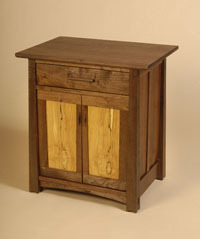 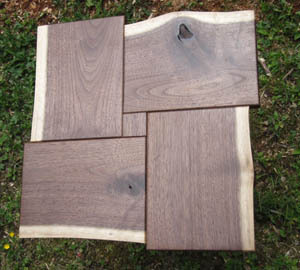 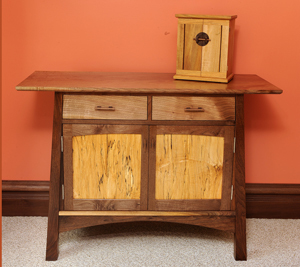 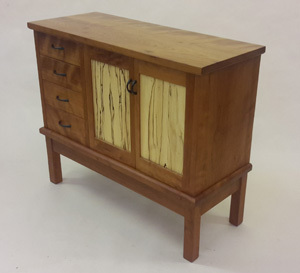 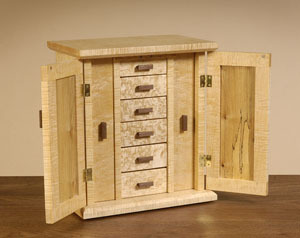 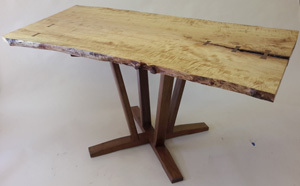 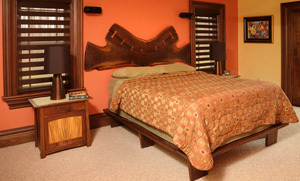 can be made in many different wood combinations. 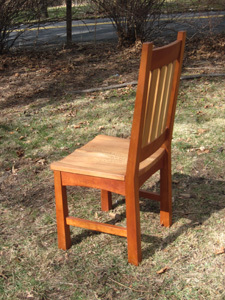 Dining chair with obvious asian influence, hand carved seat and curved back. 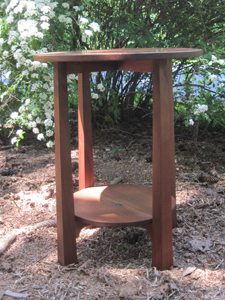 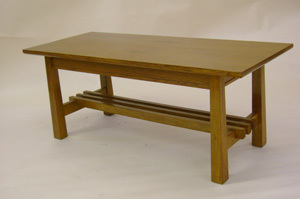 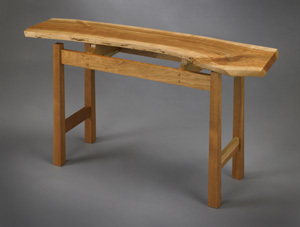 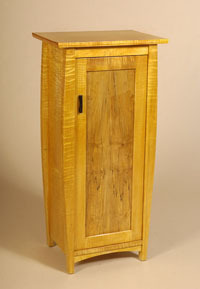 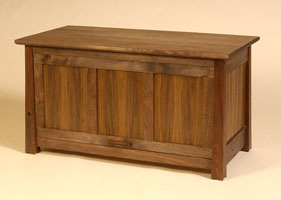 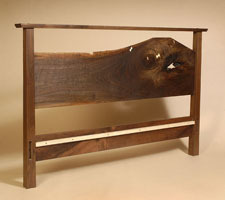 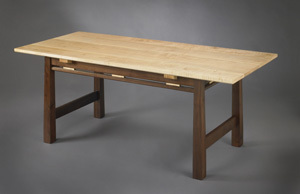 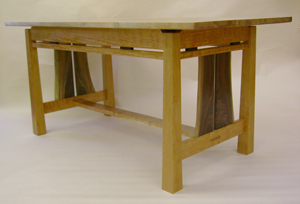 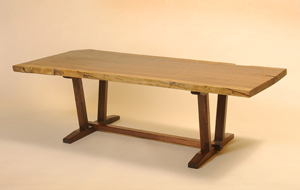 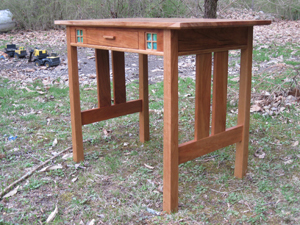 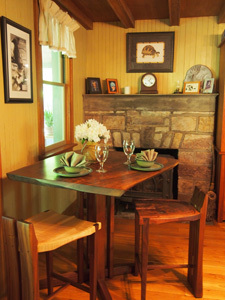 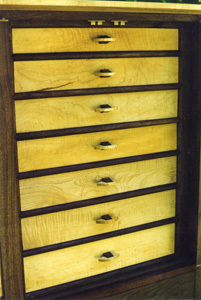 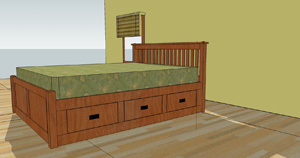 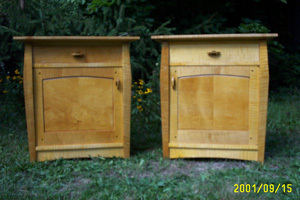 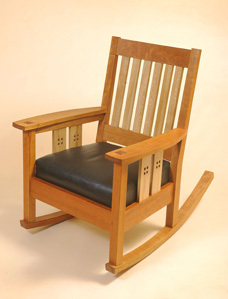 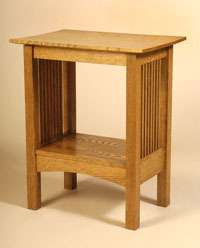 Ample dovetail holds front legs in place.Click on image to see larger version .